With the promulgation of the Constitution of the Republic of South Africa, 1996, (Act 108 of 1996), Section 219 (2) of the Constitution of the Republic of South Africa, 1996, (Act 108 of 1996) stipulates that national legislation must establish an independent commission to make recommendations concerning the salaries, allowances and benefits of defined office-bearers. 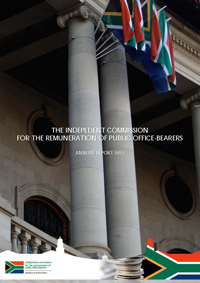 As a consequence, the Independent Commission for the Remuneration of Public Office Bearers Act, 1997 (Act 92 of 1997), established the current Commission to make recommendations concerning the salaries, allowances and benefits of defined office-bearers. 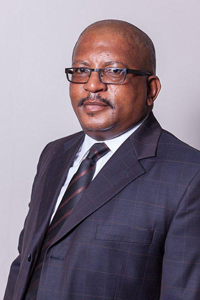 Section 219 (1) further prescribed that an Act of Parliament should establish a framework for determining the salaries, allowances and benefits, or upper limits thereof, as the case may be, of certain public office bearer positions. the resources which are necessary to enable an office-bearer, as defined in section 1 (a), (b), (c) and (e) of the Commission Act, to perform the office-bearer’s functions effectively.